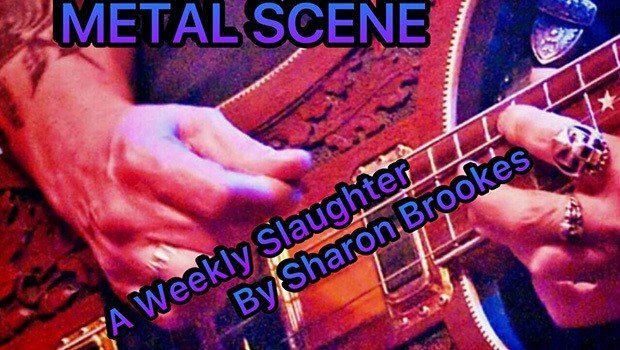 Dear metal friends, the gods have been good to us this week with an absolute shitload of goodies, so sacrifice your hearing and turn the speakers (amps) to eleven. Part of the joy of metal is the cover art. 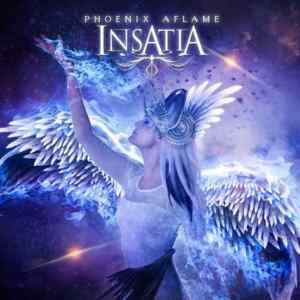 Insatia has released a new L.P. called Phoenix Aflame, and if you ever needed a reason to download the artwork accompanying the music, this is it. Fortunately the music lives up to the promise of the packaging with ten tracks set to blow away your metal cobwebs. Out now through Pitch Black Records. If you love Epica, you’ll adore the voice of Zoë Federoff. Other new releases worth a mention come from Paradise Lost, out of the Nuclear Blast stable. If you haven’t heard this band’s music, this is your homework. Listen to ‘The Longest Winter’ from their upcoming album Medusa’. This track is vocally and instrumentally supreme. 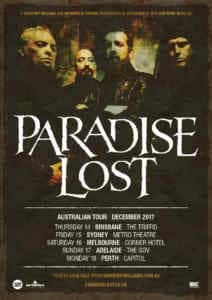 Hot off the press – the metal gods are looking over us here in Australia – Paradise Lost are touring, thanks to David Roy Williams & Metropolis Touring. 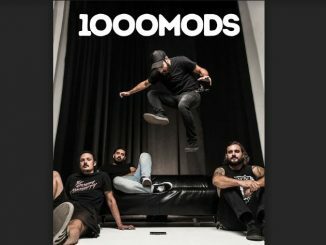 I’ll see you at their gig at Melbourne’s Corner Hotel on December 16th. 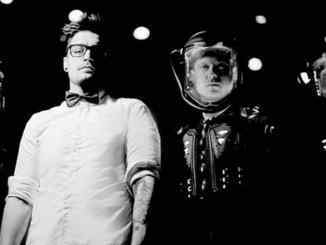 Described by ‘Ultimate Guitar’ as “Birmingham’s newest metal gods” Revenant Dead have released Heroes Without Villains. The first single ‘The Rising Phoenix’ (yet another phoenix!) 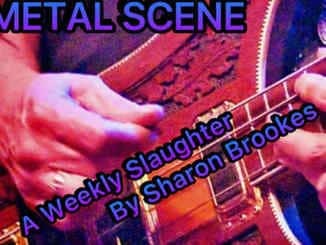 is drum-centric, which is a fresh variation on the usual generic guitar led sound of most metal outfits. West Addams’ vocals are pleasingly Marilyn Manson-ish. 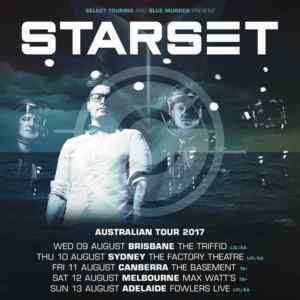 Starset’s first-ever Australian tour, brought to us by Select Touring, is nigh. More heavy rock than heavy metal, they probably won’t interest the hard-core metal fan, but they certainly are interesting conceptually, evoking visions of space and other worldliness. 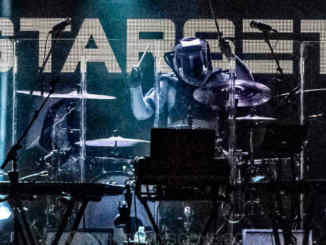 Their new album Vessels holds disturbing themes such as genetic engineering and A.I. Vessels is out now via Razor & Tie / Cooking Vinyl Australia. If (God forbid) you have any mates who think metal is just ‘screamo music’, it’s in your power to bring them over to the dark side. Manchester Orchestra, which is a band not from Manchester but from Atlanta, have created their new album A Black Mile To The Surface. They say that they use ‘heavy, crunchy guitars’, but to take them just on that would be a mistake. Yes their guitars are heavyish and sharp, but they are more orchestral than Neanderthal, and their instrumentals are atmospheric. Listen to ‘The Moth’. Death metal fans will probably not like it, but those who enjoy The Moody Blues sound will think it’s sublime. One to finish on – prog metal stalwarts Blind Guardian have released a beauty through Nuclear Blast. Called Live Beyond the Spheres, its twenty-two tracks provide us with a history lesson from a time when raiding and pillaging was par for the course. Hope you all enjoy wrapping your ears around something new. Sharon is a freelance music journalist with 20 years experience writing for street press, web publications and blogs. She specialises in reviewing gigs, books, CD’s, and theatre productions.